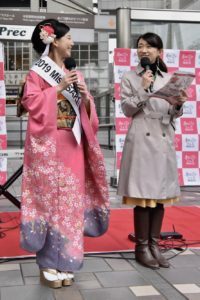 1 Rika Tomita, 2019 Miss SAKE Japan the runner-up, joined the 12th WASHU FES in NAKAMEGURO GT tower front square. 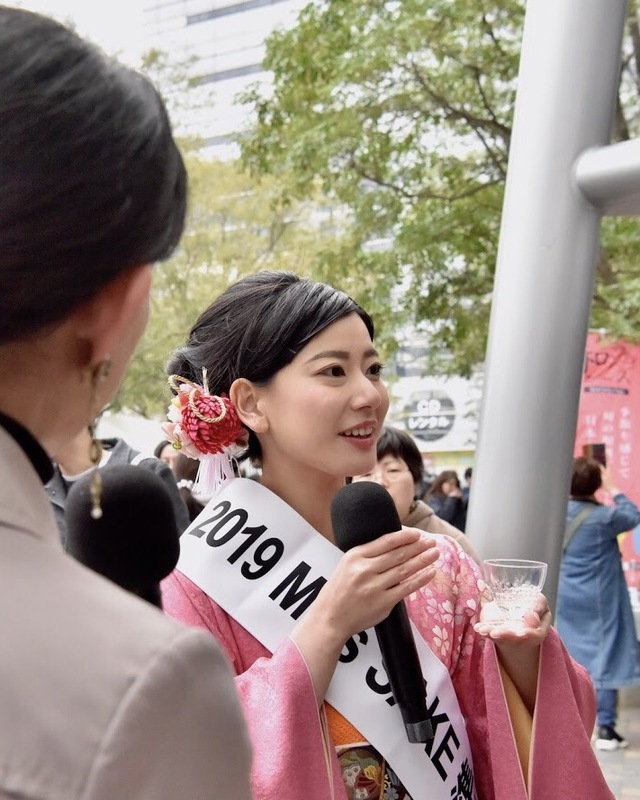 Rika Tomita, 2019 Miss SAKE Japan the runner-up, joined the 12th WASHU FES in NAKAMEGURO GT tower front square. 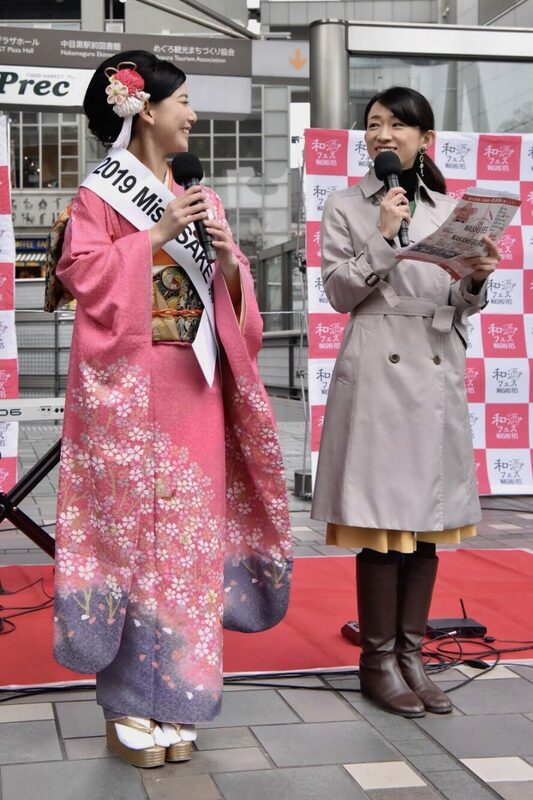 Hello everyone, this is 2019 Miss SAKE the runner-up, Rika Tomita. 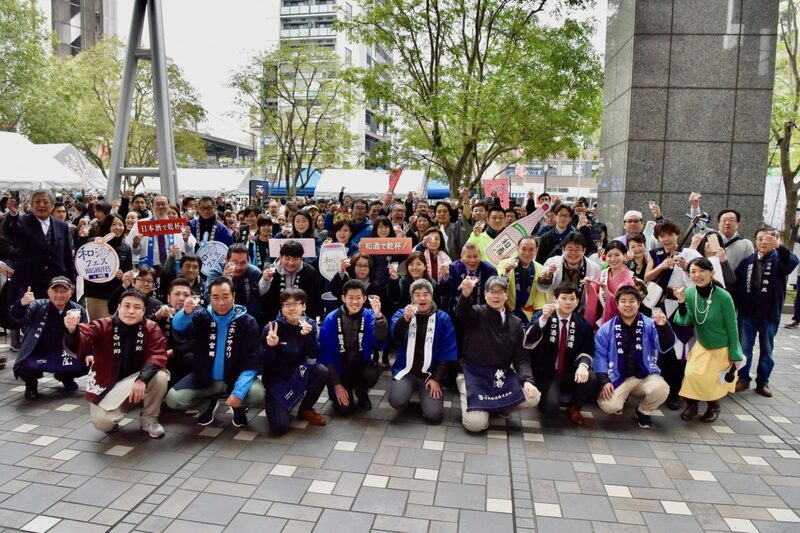 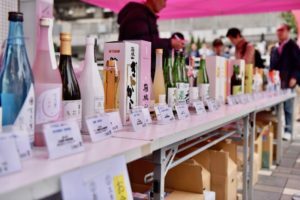 43 of the brewery took part in this festival, and we enjoyed a variety of sake. 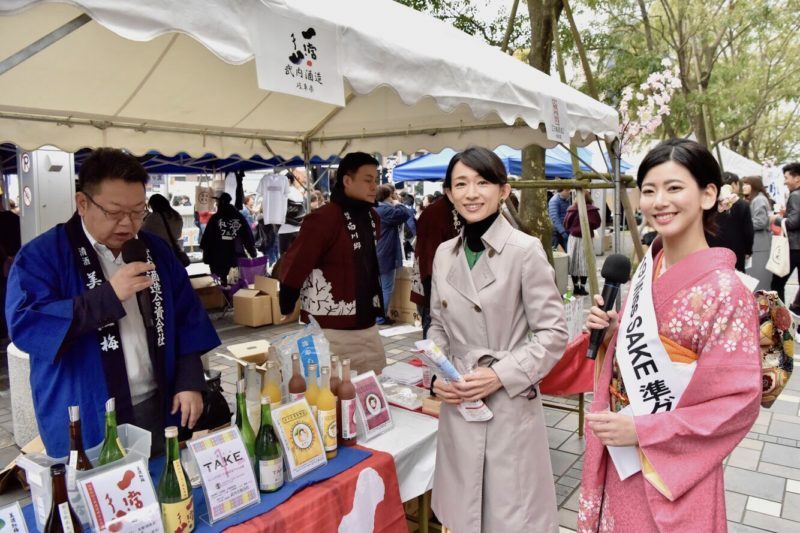 The MC of the Fes was Ms. Yuki Aoi, who is sake coordinator and sake samurai. 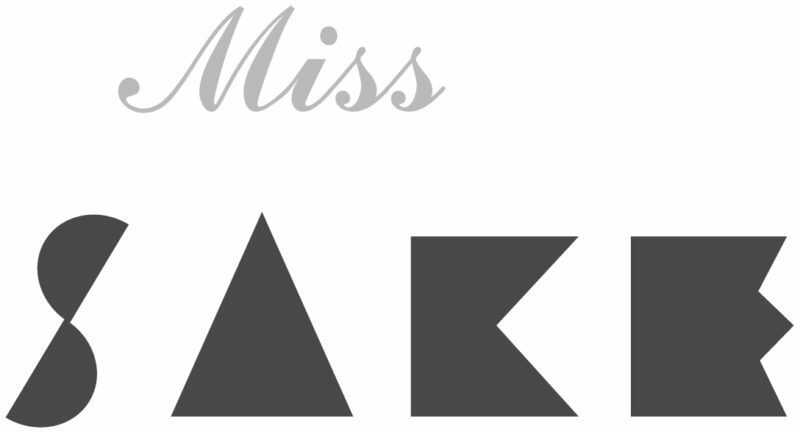 I introduced the activities of Miss SAKE to everybody, as well as my enthusiasm as 2019 Miss SAKE the runner-up. 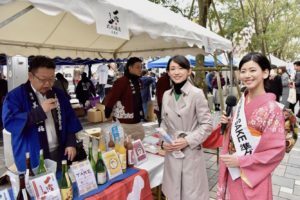 And together with Ms. Yuki Aoi, we went around the venue and introduced each sake brewery. 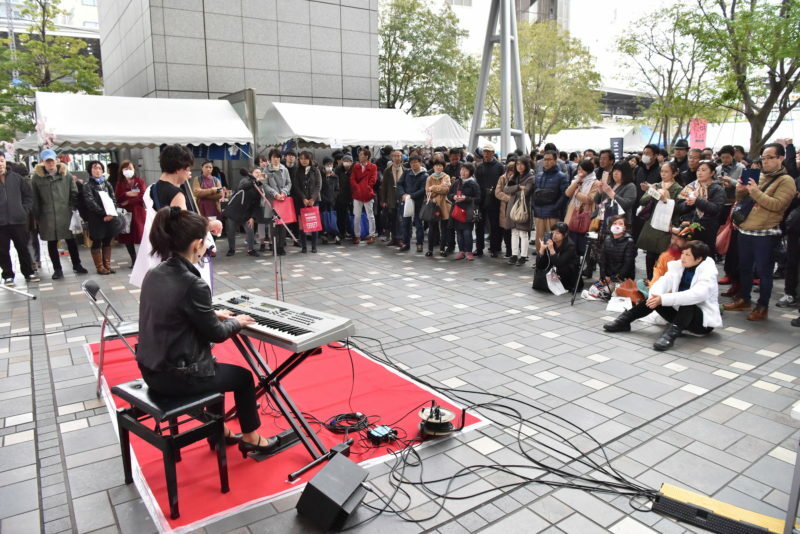 On the stage, the Tsugaru-jamisen player Mr. Masakatsu made a solo live performance rich in variety, with the support of Ms. Misae(pf). 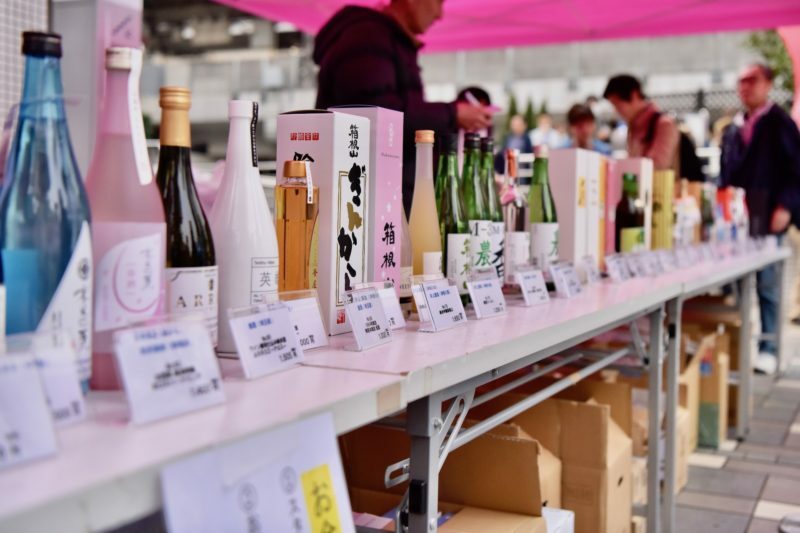 The next“13th Japanese Sake Festival in Nakameguro” will be held on July 20th, on the theme of “Let’s enjoy summer sake, sparkling”. 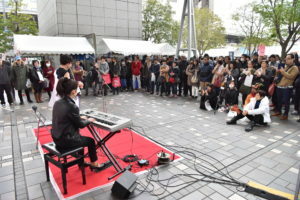 Thank you very much for giving me the opportunity like this.